Ntombi and Thandi- probably shouldn’t be alive. Ntombi was attacked with a machete, trying to protect her mother from poachers. 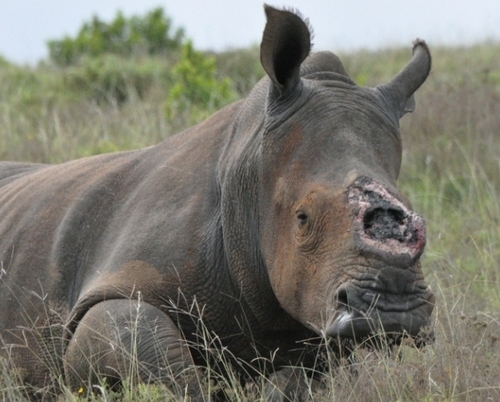 Thandi was poached and had the horn chopped off her face, with lots of blood loss and damage. But they suffered, healed and persevered. Things are bleak. 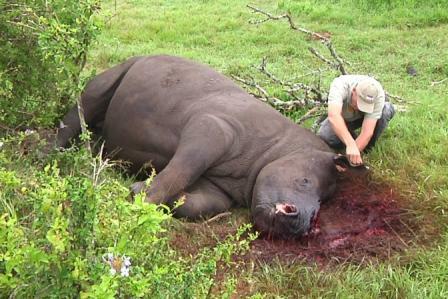 Poaching numbers are soaring, the government wants to put horns on the Johannesburg Stock Exchange. 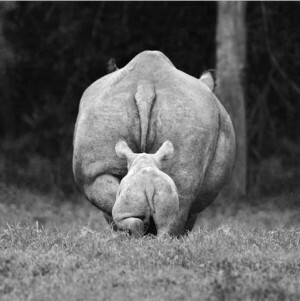 Conservation of rhino seems to be one step forward, 20 steps back. BUT the girls persevere because we’ve helped them, they all need us now more than ever. We must stay strong, stand together, and keep fighting for them!! 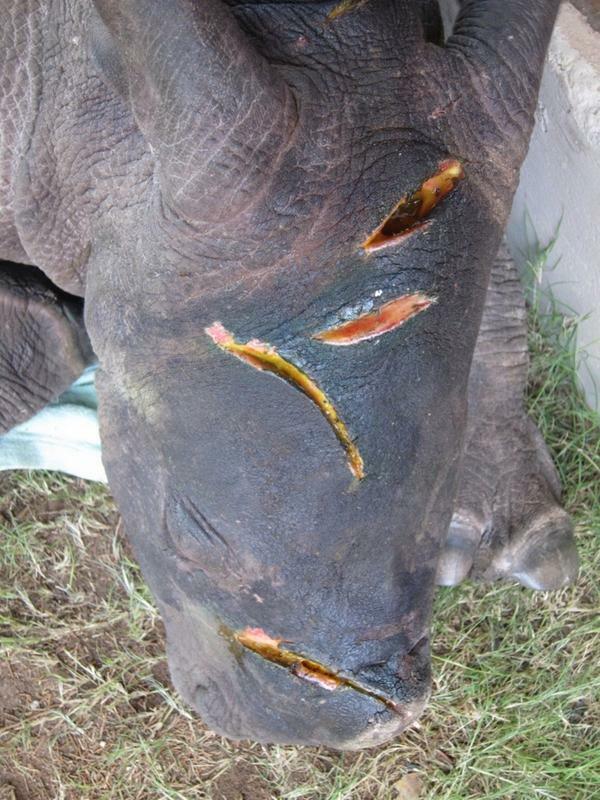 Here is Thandi now-in the midst of continued plastic surgery; skin grafts over her torn away horn. She lives as normally as possible. 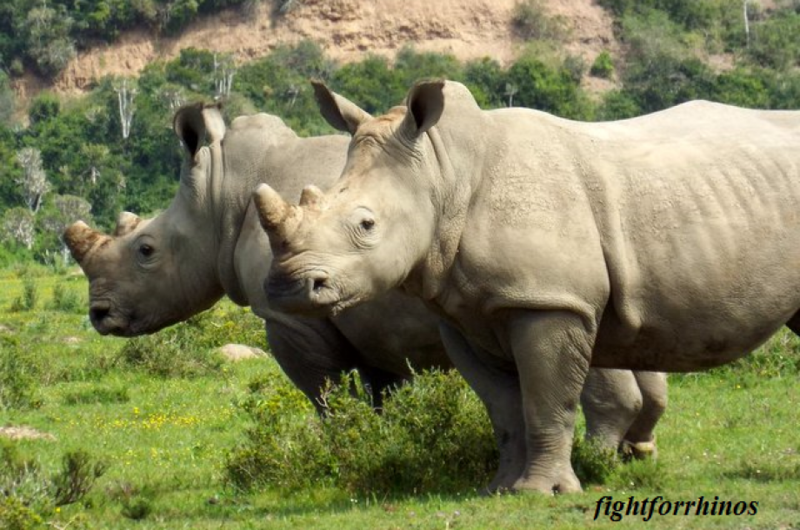 I hope by the time Ntombi is mature enough to have his horn he does not have to experience what is mother had to and I want to say thank you to all of you for your hard work and dedication to the rhinos! What an inspiration Ntombi and Thandi are. Thank You for sharing this news.